Are you looking for that luxury, resort-style backyard to come home to? Let Couture Landscapes create an outdoor living space that you can be proud of! 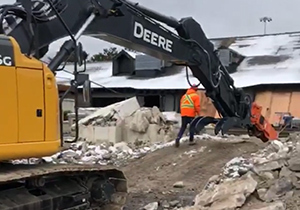 From landscaping, to shoring, to excavating, to demolition, we are your Oakville landscape construction company - including Burlington, Mississauga & Etobicoke. We take great satisfaction in the landscaping beauty and craftmanship that we can deliver. 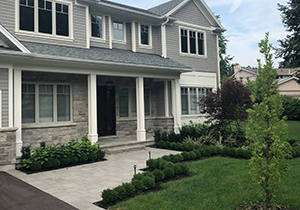 As an Oakville landscaping company, we pride ourselves on ensuring that each landscape construction project is done right, while providing the highest level of customer service to each of our clients. Learn more about our landscaping services and construction services. As an Oakville landscaping company – also serving Burlington & Mississauga – creating beautiful and functional landscapes is what we live and breathe. From the beginning of each landscaping project, our emphasis is on meeting our clients’ needs in ways that are affordable, practical and beautiful. Our construction division services the Greater Burlington, Oakville, Mississauga, Etobicoke and West Toronto regions. We are dedicated to shoring, demolition, excavating and construction for both residential and commercial projects. We are a service oriented landscape construction and general contracting company with a commitment to excellence unparalleled in the industry. We provide the highest level of quality, workmanship and craftsmanship to each and every project that we work on. 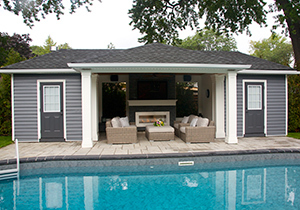 At Couture Landscapes, our team of experienced Oakville landscapers and construction professionals will promise to deliver the best in building outdoor living space. You deserve to relax and enjoy your property to its fullest - take advantage of our landscaping, construction and woodworking expertise today. As a member of Landscape Ontario, were also fully-licensed and stand behind the quality of work we deliver. It is one of the reasons why we get to enjoy the satisfaction of being able to work with many repeat customers and referrals in the Burlington / Oakville / Mississauga / Etobicoke areas. Learn more about Couture Landscapes; your choice for landscaping and construction.